Following the recent crisis that hit Kaduna, a Muslim security guard attached to Keystone bank and a Catholic Priest have been hailed for risking their lives to save Christians and Muslims respectively, during the pandemonium in the State. 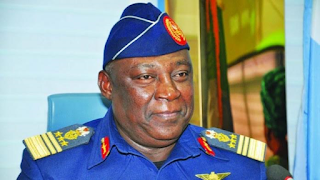 Facebook user, Mr Emmanuel Ado, took to the social media platform to narrate what had happened. 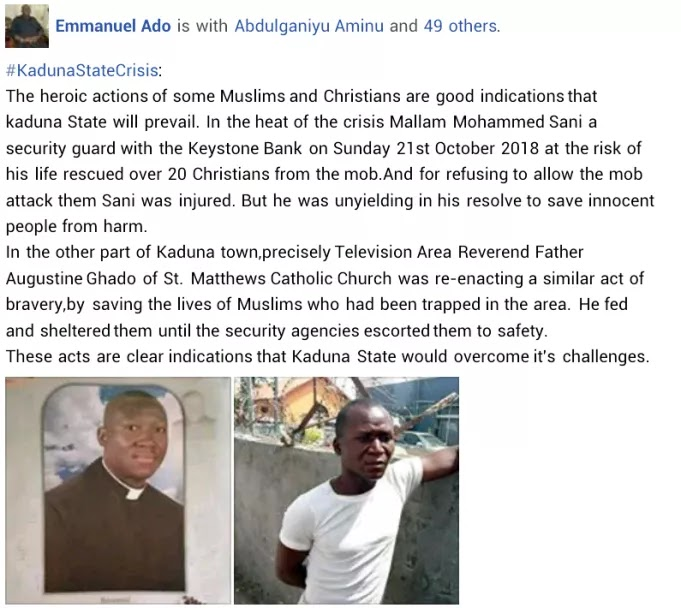 The heroic actions of some Muslims and Christians are good indications that kaduna State will prevail. In the heat of the crisis Mallam Mohammed Sani a security guard with the Keystone Bank on Sunday 21st October 2018 at the risk of his life rescued over 20 Christians from the mob, and for refusing to allow the mob attack them Sani was injured. But he was unyielding in his resolve to save innocent people from harm. 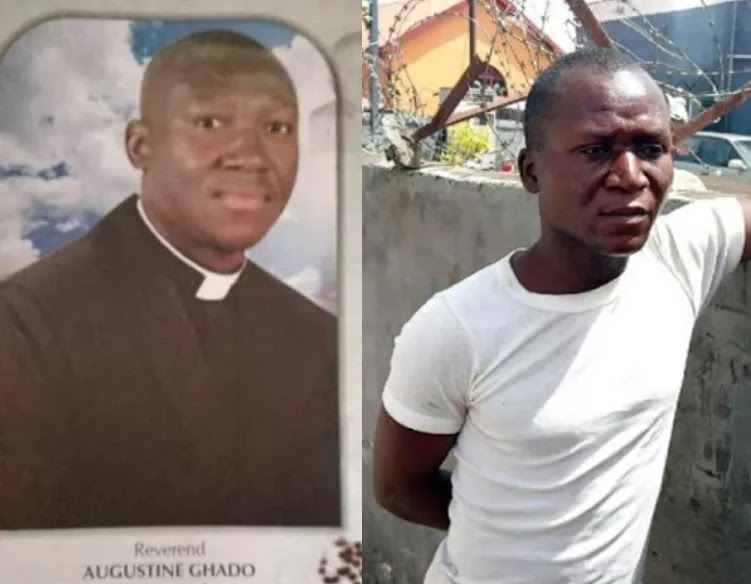 In the other part of Kaduna town,precisely Television Area Reverend Father Augustine Ghado of St. Matthews Catholic Church was re-enacting a similar act of bravery, by saving the lives of Muslims who had been trapped in the area. He fed and sheltered them until the security agencies escorted them to safety. These acts are clear indications that Kaduna State would overcome it’s challenges.